Indian Dads today want to be involved in every aspect of their child’s life. Be it helping with homework, or making the perfect omelette for breakfast, or taking time off from work to attend a PTA meeting, they are eager to divide parenting responsibilities equally. These dedicated dads are the torchbearers of a revolutionary change sweeping Indian society. Having keenly observed this remarkable transformation in parental roles over the last decade, Flipkart commissioned a study to understand what drives these extraordinary fathers. The findings are inspiring. To borrow an analogy from the animal kingdom, these ‘Penguin Dads’ are deeply involved and invested in their child’s upbringing all the way from birth to adolescence. Penguin Dads represent the face of a new, progressive India that is upending stereotypes and challenging the status quo. 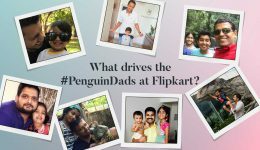 Flipkart, the homegrown icon of progressive India, is proud to raise a toast to these extraordinary Penguin Dads. Over the last decade since it made a splash in Indian e-commerce, Flipkart has kept in touch with the dreams and aspirations of India. 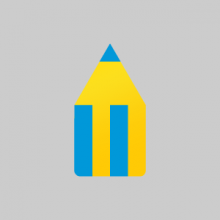 A homegrown Indian company with a conscience that listens to the heartbeat of India, Flipkart has deep empathy and respect for the emotions that drive Indians. We are keen observers of the subtlest social changes that drive us towards becoming a progressive society. Our data validates these observations — for instance, more and more men are shopping online for baby clothes and diapers. Inspired, we conducted a survey across 17 Indian cities to understand the changing role of Indian fathers. What we discovered was both inspiring and uplifting — not only are more Indian dads eager to play an equal role in their kids’ upbringing, they are committed to making more time to be hands-on dads. Looking for an analogy, we found it in the animal kingdom. The Emperor Penguin is the epitome of a hands-on dad. Penguin fathers take equal share in parenting responsibilities. They lavish their fluffy chicks with loads of attention and tender loving care — they keep the eggs warm and hatch them, they feed and protect the young ones, nurturing them all the way to adolescence and into adulthood. Our exemplary Indian dads, the Flipkart survey finds, are Penguin Dads. They are the torchbearers of a revolutionary change sweeping Indian society. As Flipkart unveils a new brand campaign that partners a progressive India, we salute the exemplary Penguin Dads of India. Read on to find out what makes them awesome! With India’s economy growing and its people prospering, the Indian family has transformed in subtle yet progressive ways. A recent study commissioned by Flipkart found that modern-day fathers in India have evolved from being merely providers or breadwinners to adopt the role of caregivers and emotional anchors. An increasing number of Indian dads today are as engaged in raising their kids as they are in sharing household chores. They change nappies, braid hair, drive kids to school, play with them, and tuck them in bed. These awesome dads aren’t defined by their professional designations alone. They believe that being a dad is the most rewarding job of all. We call them the Penguin Dads! 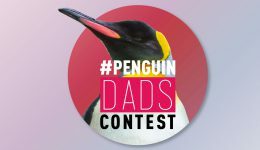 What makes Penguin Dads awesome? If you’ve watched wildlife documentaries about penguins, or even the award-winning animation film Happy Feet, you’ll need no introduction to Penguin Dads. The Emperor Penguin (Aptenodytes forsteri) lives in the frozen expanses of Antarctica. Every year, the females leave the colony, swimming into the cold, deep ocean in search of fish. Before they go, they lay their eggs and say goodbye, leaving them to hatch in the care of the fathers, who stay behind to raise the chicks. As the dark and gloomy Antarctic winter sets in, thousands of male penguins huddle together for warmth, tucking their precious eggs between their feet to incubate them. So devoted are these dads that they live on nothing but ice for more than three months, barely moving until their eggs hatch. They bring up their fluffy chicks until the mothers return home from the ocean with fish. And even after the moms are back, Penguin Dads don’t stop being extraordinary parents. They continue to play a big role in bringing up the chicks and readying them for adulthood. Flipkart surveyed 1,700 dads in 17 Indian cities, including metros such as Delhi and Mumbai, and other cities such as Pune and Guwahati. The findings are not just noteworthy, they’re inspiring. A startling 85% of dads surveyed said they’re now part of their child’s daily routine activities — from waking them up, readying them for school, to tucking them into bed. Why do Penguin Dads do what they do? Penguin Dads develop strong bonds with their children. They are immersed in their children’s lives and are deeply involved in aspects such as study, play and learning. Developmental psychologists concur that the involvement of both parents in a child’s upbringing has strong positive influences on holistic growth and development. Research has shown that children who grow up with an involved father are more likely to be emotionally secure and confident and have better social connections. So, fathers who bottle-feed their infants or help mothers breastfeed, who brush a toddler’s teeth, or help them wash their hands, who give babies a bath or tell them stories, are playing a vital role in building bonds with their children, besides taking the stress off the mothers. A significant number of the fathers we surveyed said they’re driven by the motivation to be seen as dads who care, who are more patient, and better at fatherhood than their own dads were. And the heartening part? They don’t think of themselves as superheroes with capes, but just regular dads taking an active interest in their children’s lives. For us at Flipkart, Penguin Dads are symbolic of a rapidly evolving and progressive Indian society — one that is forward-thinking and driven by a desire to do more, achieve more, and challenge the status quo. Flipkart has been ever-observant of these changes and we are proud to partner with and enable these inspiring stories of a progressive India. And we look forward to sharing several such stories with you.